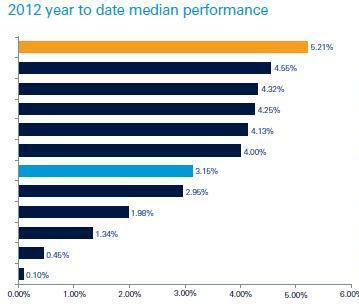 According to Deutsche Bank the median return of European-based hedge funds in the first 4 months of the year was 3.15%. Just looking at Equity L/S strategies, over the same period global L/S funds were up 4.25%, and European Equity L/S were up 4.13% on a median basis. For comparison the STOXX 600 was up 5.21%. Given the upside capture rate is not normally as high as 79% this suggests that equity long short managers have added a lot of stock selection alpha in the YTD period.